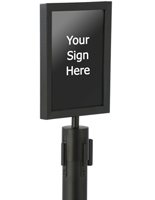 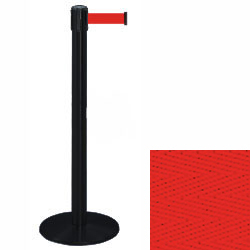 These stanchions with retractable red belt are excellent for directing foot traffic and creating queue lines. 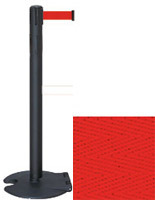 Each of the posts has a strong metal construction with a nylon tape that measures 13' long. 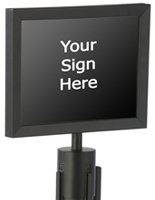 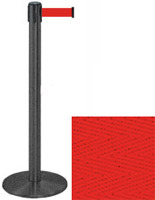 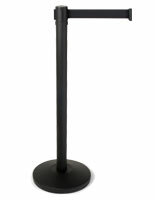 The stanchions with red belt are an excellent choice for restaurants, event venues and retail stores where they can show customers where to go for service. 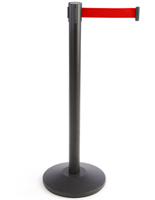 In addition, the posts have a round weighted base that keeps them upright in high traffic environments. 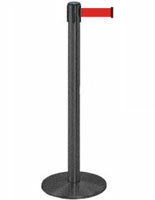 Another feature of the stanchions is their 4-way adapter on top that allows them to connect to up to three other poles.